All handmade with love in our UK studio. Please allow 7 days for delivery. 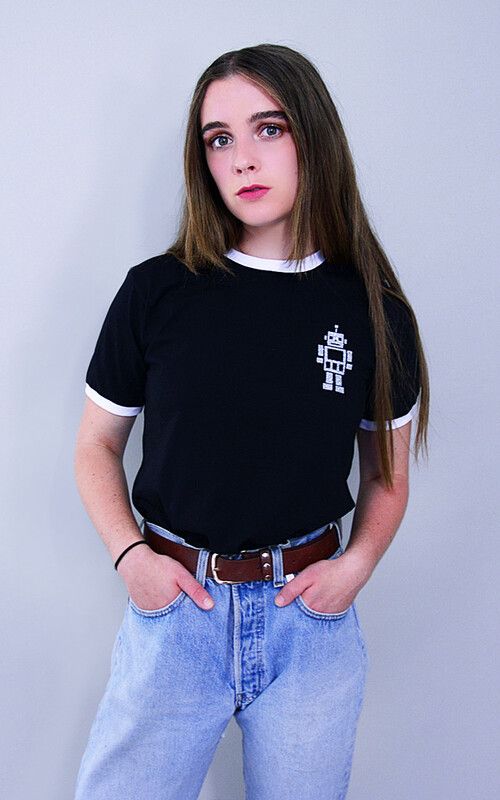 This gorgeous Robot Ringer Tee is perfect for Autumn. 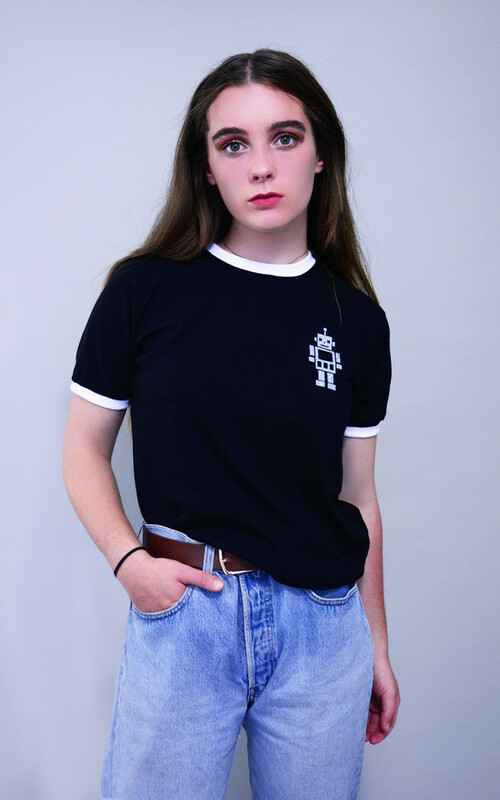 The super cute robot is in a silver glitter transfer set on a black t-shirt with white edges. 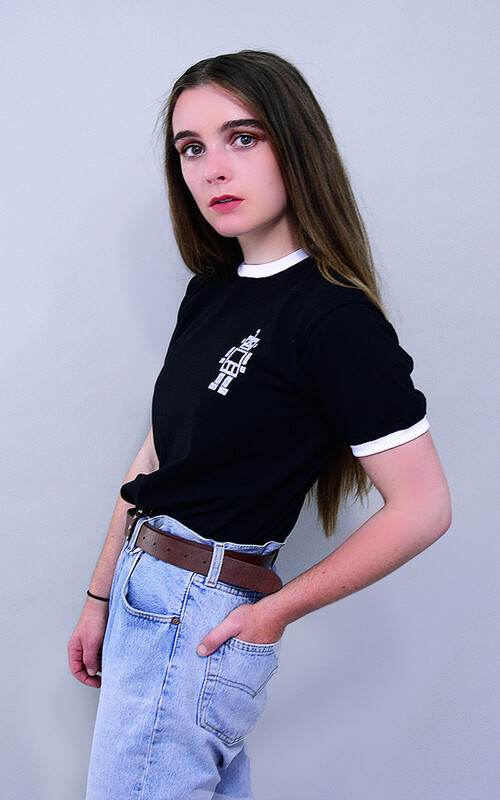 The T-shirt itself is super soft and 3/4 length for a comfortable and relaxed fit. Really cute and perfect for the Summer season teamed up with boyfriend jeans and boots. Available in sizes S(6-10), M(12-14) and L(16). Model is a size 8 and wears the Small.